In Nature of Code, we learned how to regulate entropy and imitate the physical world. I seized this opportunity to realize the Miyagi fly catch that I begun during 4-in-4. 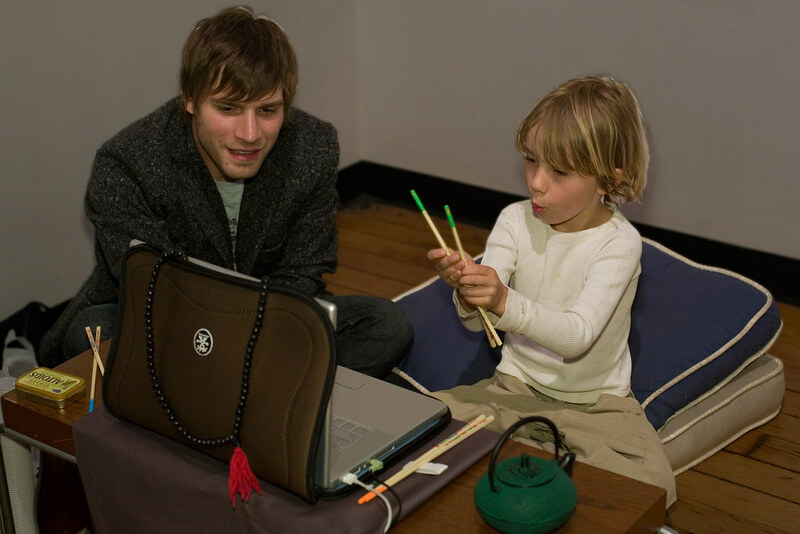 The game is played with real, untethered chopsticks. 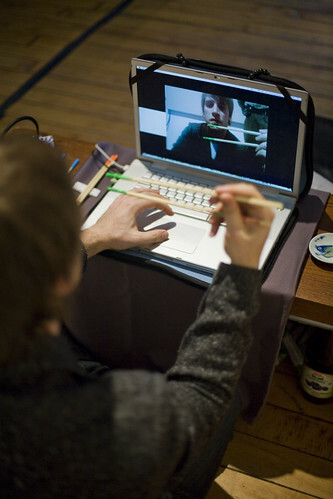 The tips are painted a neon color in order for your webcam to be able to differentiate the sticks from the other objects in the frame. 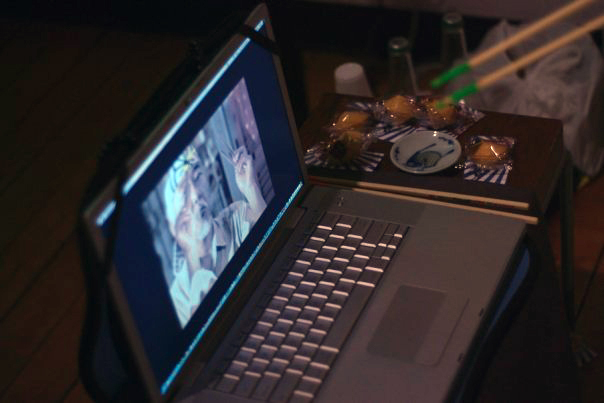 Mr. Miyagi’s right arm follows your tracked chopsticks across the screen during your pursuit of the rendered housefly. Here are some pictures from ITP’s Spring Show. Man who catch fly accomplish anything.